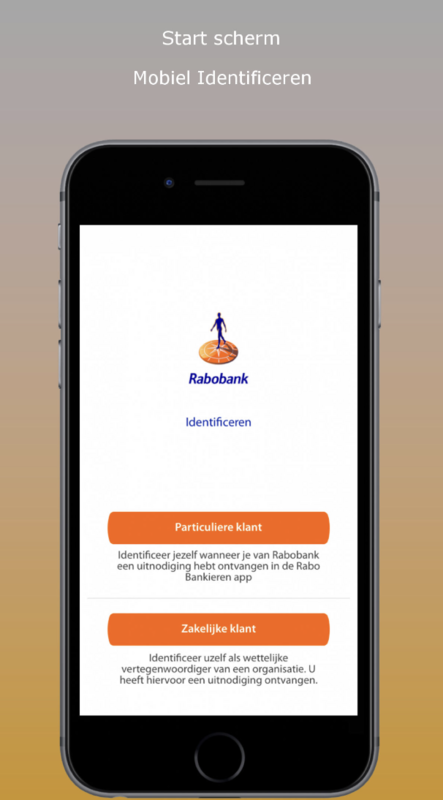 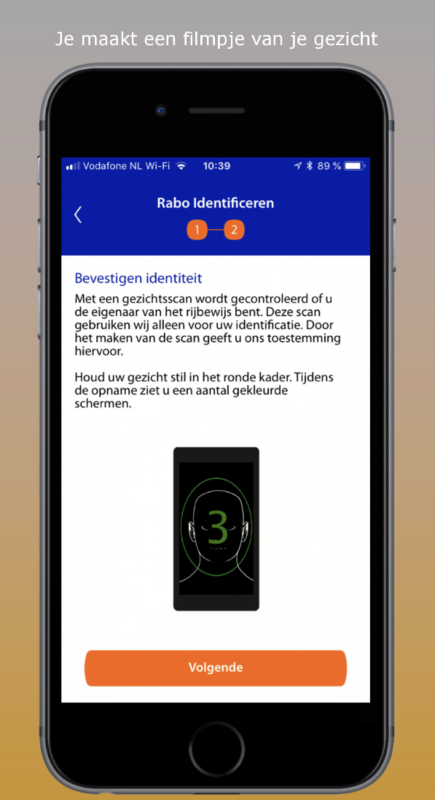 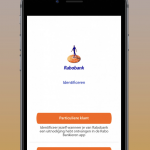 The Rabo Mobile Identification app gives Rabo customers the possibility – when invited by the Rabobank – to identify themselves when and where they want. 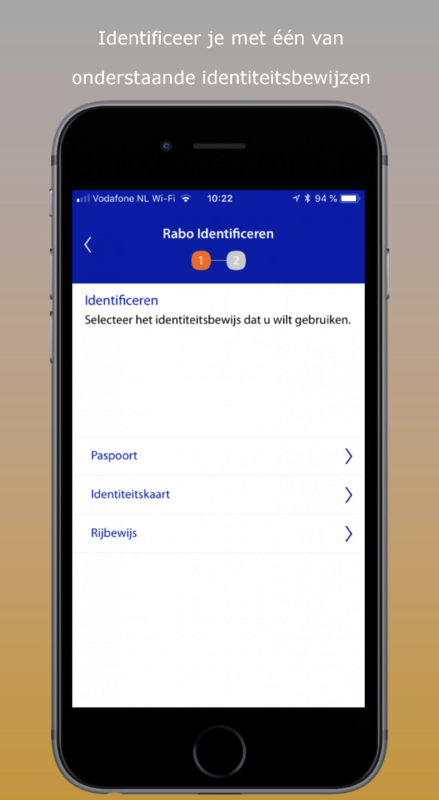 It’s no longer necessary to go to the local bank office: They only need a valid identification document and the Rabo Mobile Identification App. 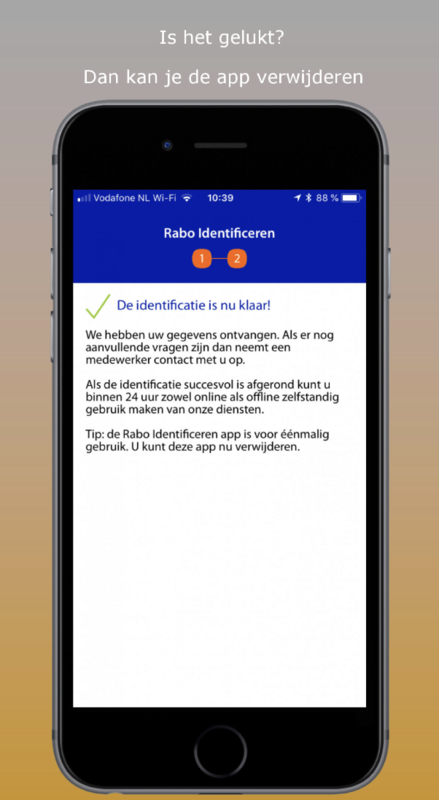 As an existing private customer they can start the identification process by logging in with their regular 5 digit access code or the Rabo Scanner. 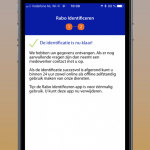 As a business customer they can login with a 15 digit code received by mail to start the identification process. 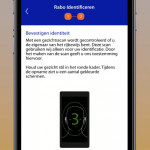 I got involved into this project via my employer Innovalor. 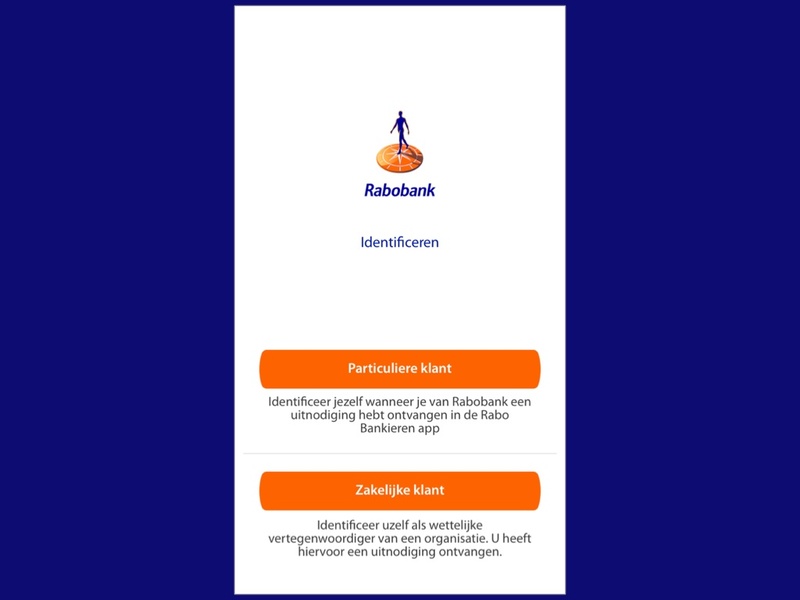 My role is lead iOS developer. 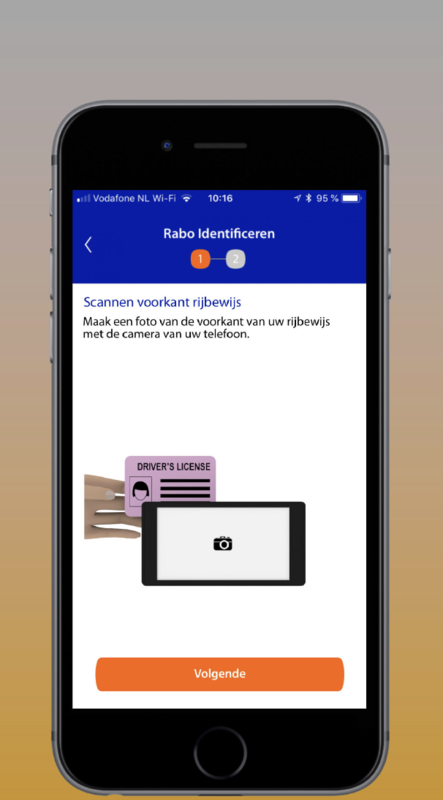 You can read more about the role of Innovalor in this blog post.